See what people are talking about at Wyboo! With membership packages for the whole family! Register for our eClub to receive all the latest updates and specials. With our fast and easy tee time engine, booking your next round is cake! Check out our variety of stay & play packages, and make a weekend of it! Because we all know that just one round of golf isn't going to cut it. Possibly the best-kept secret amongst South Carolina premier golf courses, Wyboo Golf Club is located 8 miles south of Manning, SC, at exit 119 off I-95. The course is situated on the northern extreme of Wyboo Creek, which flows into Lake Marion. Wyboo Golf Club is a Tom Jackson Signature Course, opened in October 1999. Having steadily grown in popularity and respect, it reached acclaim in 2003 when the sports editor of the State Newspaper of Columbia, SC, named it one of the Top 10 golf courses available to the public in the state of South Carolina. 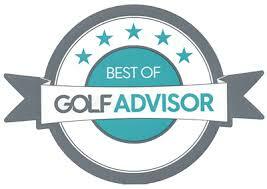 It has consistantly been named the Premier Golf Course in Clarendon County. Spacious fairways are forgiving for slightly errant tee shots, but the approach strokes are a different matter, demanding a higher degree of accuracy due to the bunkers and other hazards guarding the greens. Nestled in the western edge of the South Carolina Low Country, Wyboo Golf Club lies adjacent to and meanders through Deercreek Plantation and across the road from Wyboo Plantation, two exquisite, gated resort communities within the well-known Santee-Cooper golf environs. More than just another 18 holes, Wyboo has become increasingly popular with golfers of all ages and experience. A wonderful mix of lateral water, well-placed bunkers and sloping (tif eagle) greens will set you up for a great day of golf in the south. Wyboo Golf Club Voted #16 Out of 25 Best Golf Courses in South Carolina for 2018!